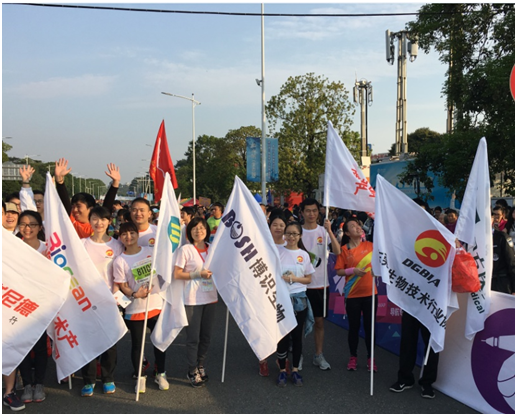 The 8-km Mini-marathon was unfolded in Songshan Lake on March 27, 2016, 8:00 a.m., where our employees could be spotted. 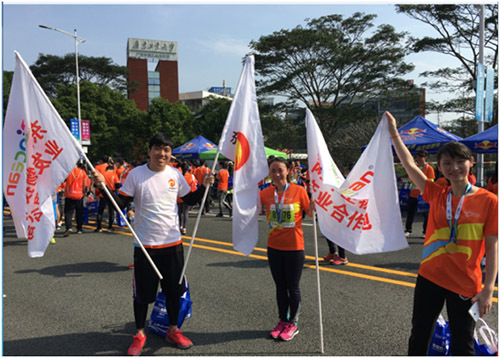 Led by the staff of Dongguan Biotechnology Industry Association, employees Xiao Dan, Li Yabei, Wang Xinran and Li Xiaoqi signed up for the run. Holding up a banner with our Logo, our four contestants joined the 15,000 domestic and international runners. Against the rising run, they experienced the Olympic spirit of self challenging and over the limit. 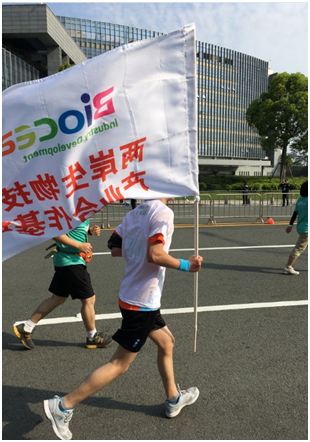 After 50 minutes, our employees arrived at the finishing point successively. Their perseverance was a reflection of their physical fitness, positive mentality and struggling spirit, and a demonstration of our healthy and positive corporate image.